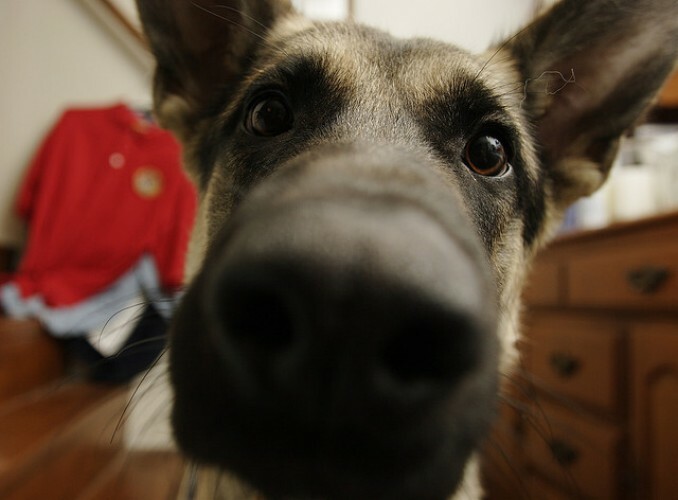 Dealing with Dog Separation Anxiety | Woof Report | The best email newsletter for dog lovers. Dog separation anxiety is common in varying degrees and can be difficult to treat. Find advice and see our resources to help lessen or eliminate it. There’s a reason dogs bark at school buses. Just like kids, they loathe back-to-school season. And who can blame them? After whiling away the summertime with playmates at home, suddenly, the family schedule changes and it’s just your dog, a boring chew toy, and the kitchen floor. Cue the howling. New routines are tough enough for dogs, but when they get left alone for long periods of time, they just can’t hack the loneliness. Dogs are pack animals after all, and hours and hours of alone time isn’t their thing. No wonder so many suffer from separation anxiety. Separation anxiety has many calling cards, including that stinky pee or poop you found on the carpet. Some dogs opt to trash the place instead. Yours might decide to scratch at your windows and doors and then move on to the general destruction of your personal items. Worse still, separation anxiety may be more than just your problem. Your neighbors don’t want to complain, but the barking and whining starts the second you leave and just keeps on going. What can be done? Rest assured, the Woof Reporters sniffed out the top tips to soothe a stressed pooch. 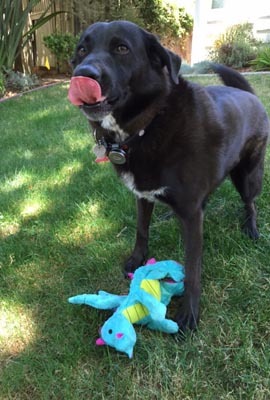 Check out these smart solutions from Dr. Christopher Pachel, editorial advisory board member for Star Tribune Pet Central, and read more at the links below. Help your dog adjust to your family’s post-summer schedule by giving him some periodic alone time. Gradually lengthen the duration of your time away as the school year approaches. Nobody benefits from the tearful goodbyes. When it’s time to go, offer your dog a food-dispensing puzzle toy to keep him busy while you quietly head out. He’ll associate a treat with your leaving and stay occupied. When you return, try not to greet your dog with a lot of excitement. Wait until he settles down before rewarding him with a play session. Unless you catch your dog in the act of bad behaviors related to anxiety, don’t let on that you’re upset. He won’t understand why you’re angry and it may just make the whole anxiety situation worse. Before you leave for the day, take the time to exercise with your dog. Tired dogs are less concerned with the whereabouts of their family and have less energy for whining and snacking on shoes. If you need to leave your dog for an extended amount of time, arrange for a neighbor or dog walker to take him out during the day. 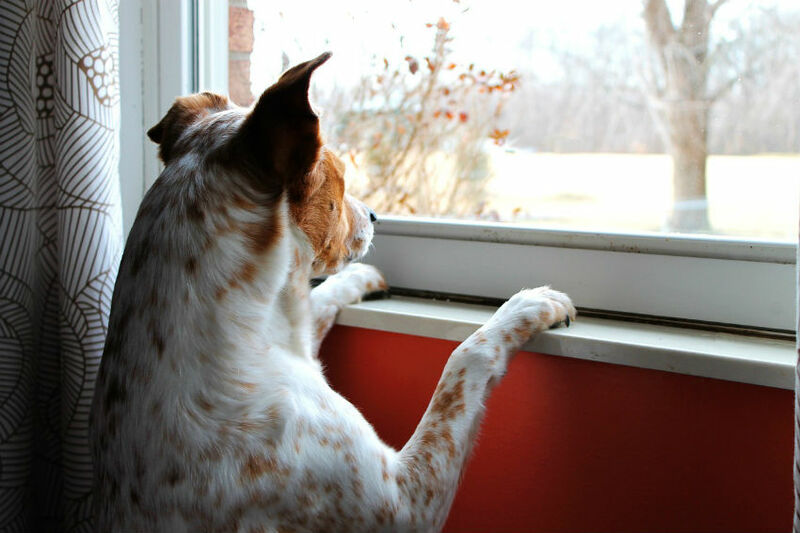 Dogs with severe separation anxiety need professional attention. Ask your vet if your dog may benefit from anti-anxiety medications, pheromone therapy or supplements in addition to behavior modification to ease his nerves. Originally published September 2009; reviewed and updated August 2016.